If you own a vacant property you’re simply not certain what to do with, you’re not alone. Maybe you made the purchase several years ago with the intent of renovating and flipping it—but then life happened, and your plans were derailed. Or perhaps you own a home you previously rented out, and the residence now sits vacant. Whatever the reason, particularly given the nature of today’s real estate market, having a vacant property with no plan of action is not a recommended course of action. Real estate is a valuable asset—but only if you use it as such! 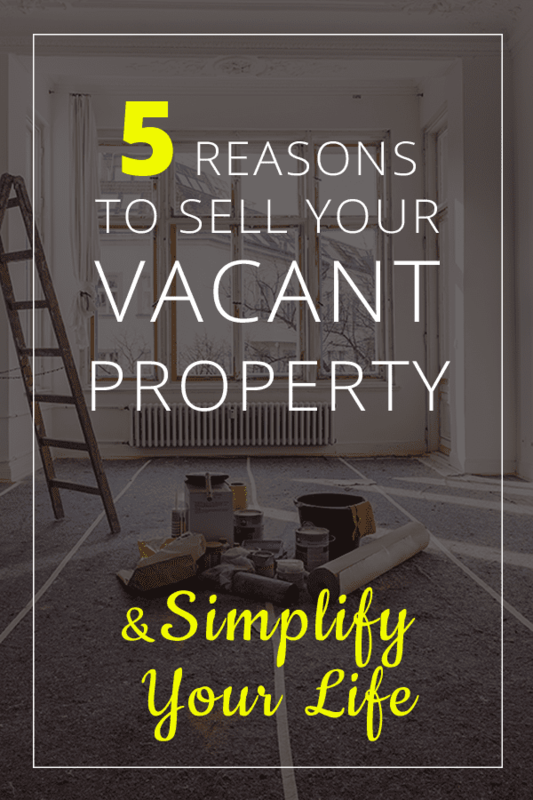 Here, some compelling reasons you should consider selling your vacant property. 1.You’ll save in the long run. Let’s look back on one of many lessons you likely learned when you purchased your first home: ownership is not free! Never mind the cost of ownership when you’re paying down a mortgage with interest; even if you own your home outright, there’s still a hard cost involved with ownership—and it’s significant enough to slowly chip away at your bank account, if you let it. Aside from annual property taxes, there will always be the need for maintenance and upkeep … and circumstances for which you simply cannot plan. It’s one thing to continue shelling out for these expenses if the math adds up and there’s a proper return on investment—like having a great place in which to actually live, or income from renters. But getting “nickled and dimed” for a stagnant investment is quite another. Why would you want to drain your pockets slowly, when you could cash out big? 2. It may just be time to move on. It happens more often than most people think: a client inherits a home from a relative or even a close family member, and they stall on taking any action, hesitant to liquidate an asset that holds sentimental value. Selling the property will not only enable you to build wealth by liquidating the asset and avoiding the cost of ownership we previously brought up—it will also allow another family to fill it with the next phase of love and happy memories. This one’s a bit complicated, but it’s important to keep in mind that, for a number of reasons, it’s typically better the sooner your sell. Unless you’re making regular investments in the maintenance and upkeep of your property (which is problematic in itself, as previously touched upon), chances are that your vacant home is at least a bit of a fixer-upper. Think about it—how often do maintenance issues arise in your primary residence? With what frequency do you invest in regularly scheduled upkeep, like cleaning and gardening? And if you ignored all of these, how quickly would your current home fall into despair? The longer you let your pipes go untouched, allow your landscaping to grow unkempt, and sit back as time takes its inevitable toll on the home, the more effort (not to mention, hard-earned money) you’ll eventually need to put forth if you’d like to sell in the future. Just as problematic is the fact that vacant properties are at risk for issues like theft, vandalism, water damage, fire, squatters, and more. 4. Having tenants is a job in and of itself. The prospect of renting certainly has its appeal if you don’t give it much thought beyond the money it could potentially bring in. What’s not to like about the notion of making money passively each month, especially in light of current economic conditions, in which rents in the state of California continue to steadily rise? Well, it turns out, there’s actually a lot to consider for prospective landlords. If you think you’ll just sit back and watch money come in without doing any work … think again! Plan to spend a great deal of money and time making necessary fixes to the property, finding and retaining the right tenants, and to be “on call” when things (leaks, electrical issues, etc.) go awry. 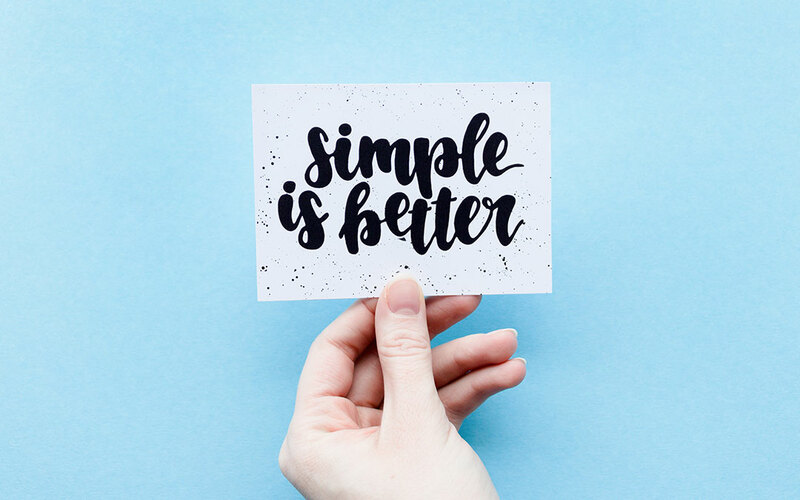 Of course you could pay a property manager to handle all of that, if you’re willing to cut your ROI down even further … or, you could simply sell and keep your sanity intact while ensuring the highest, timeliest return. 5. You stand to profit! We saved the best for last, and that’s the positive impact on your bottom line that selling promptly is likely to make. Right now, we’re experiencing a seller’s market, which means that inventory is scarce and buyer demand is high. Those with property to sell hold all the leverage—list your property now and you just might attract multiple competing cash offers. If you wait a while, it’s difficult to say whether such will remain the case, or to predict how much longer the conditions will favor you to the extent they currently do. Why wait? Selling a home is actually a smooth, pleasant experience when you work with an experienced real estate agent with a proven ability to get the job done. If you need an experienced real estate agent who will make selling your home easy and who will ensure you get the highest possible value in the process, you’ve come to the right place. Reach out and we’ll connect you with an agent so you can get started today, and ensure that you’re making the most prudent financial moves for your future.